UFO or Weather Balloon? When people hear Roswell, they immediately think of the 1947 UFO alien invasion, a subject which still interests many people. 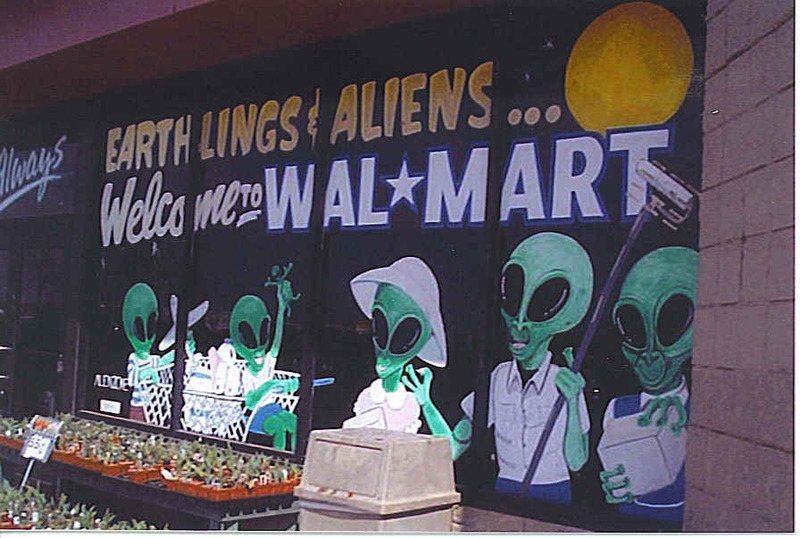 But there is definitely much more to this town of Roswell, New Mexico than aliens! 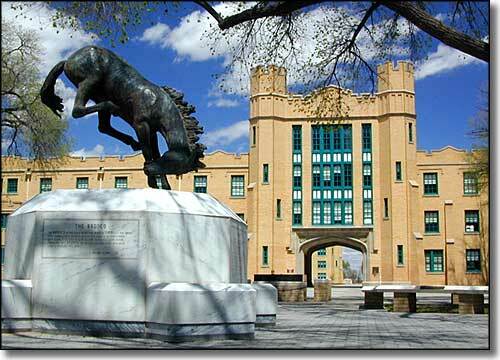 As soon as you enter the town, the presence of the New Mexico Military Institute is obvious from the beautiful campus to the polite, young cadets walking the streets. Started in 1891, this four year high school and two year junior college has been the starting point for many officers in the US military, as it is the only state supported military institute in the western United States. Among its most notable graduates are Conrad Hilton, Roger Staubach, Sam Donaldson and Major General Edwin Walker. In 1921, the school adopted the honor code of : “A cadet will not lie, cheat, or steal, nor tolerate those who do.” That code is still enforced today. During WWII, a prisoner of war camp was located in nearby Orchard Park. These German prisoners assisted with many construction projects in Roswell. Along the banks of the North Spring River, the sides were paved with stones. In one section the stones were strategically placed to form the outline of an Iron Cross, symbol of the German Army. Nearby was a piece of the Berlin Wall, which was sent by the German Air Force for their nice treatment as POW’s there. Today at the POW/MIA Park, there is a relaxing walkway along the river where you can appreciate the hard work involved and the beauty that they created. The Roswell Museum and Art Center has many beautiful and unusual paintings by well known artists such as Peter Hurd, Henriette Wyeth, and Georgia O’Keeffe. Of special interest here is the Goddard Wing, which contains a reproduction of the workshop of liquid-fueled rocket pioneer, Robert Goddard. He tested prototypes of this fuel in Roswell from 1930-1941. 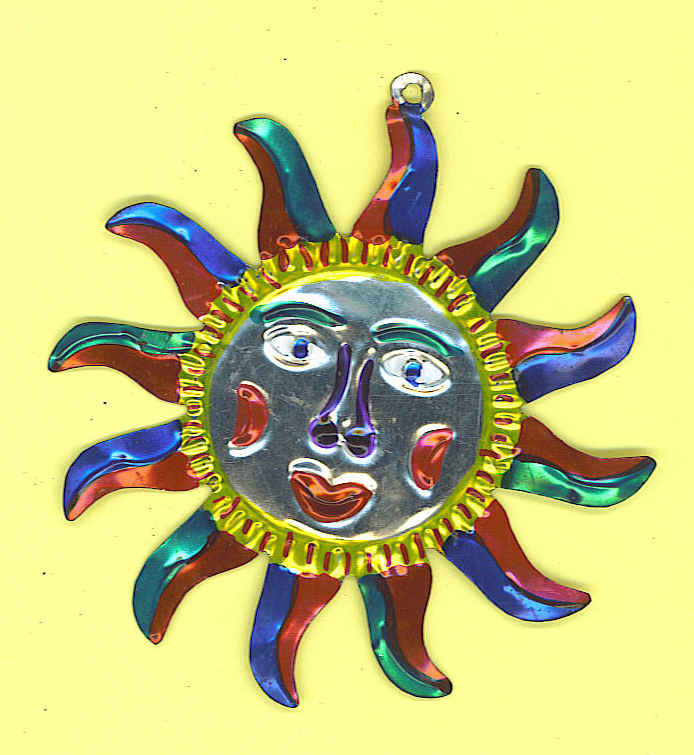 While there, noticed this Native American sun design at the gift shop, and now it often hangs in my car to bring a feeling of warmth and peace. Still makes me smile to realize that this beautiful sun is made from the bottom of a Coca Cola can! Of course, no visit there would be complete without visiting the International UFO Museum and Research Center, and taking a trip to the site where the mysterious crash occurred. 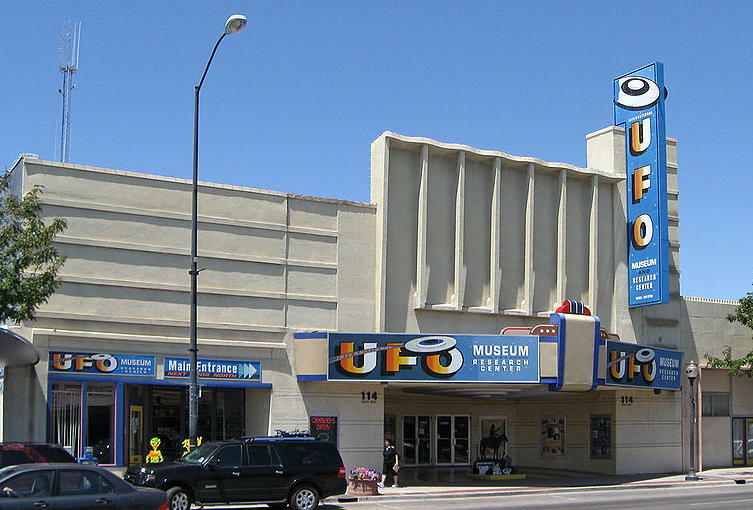 Here at the Museum you can find information about the Roswell incident, crop circles, UFO sightings, ancient astronauts, and Area 51. Living up to their motto, “The truth is here,” their library of books and films is a great place for the curious and the serious to explore the unexplainable. One interesting film told the story of a young boy, who had seen inside a space ship in 1947 and told his parents he saw fine wires with colors flashing. In the 1990’s, this now adult man worked in maintenance and was called into a phone room for repair work. He exclaimed, “That looks just like the spaceship I was in!” Fiber-optics! Responsible citizens who witnessed the crash were very quiet about it until their retirement. Once they told their story, tourists began to visit to learn more about the possibilities. The event known as the Roswell incident: the crash of an alleged flying saucer, the collection of debris and bodies, and the ensuing military coverup, still leaves lots of questions unanswered. The debate continues to this day. Many local businesses have joined in with the UFO theme as Roswell has suffered a tough economic time, especially after the closing of Walker Air Force Base there. Local gas stations have aliens pumping gas, Wal-Mart has an Aliens’ Welcome sign, and now McDonald’s has built a theme park restaurant there. Yes, you guessed it, McDonald’s is shaped like a UFO with aliens in the play area. 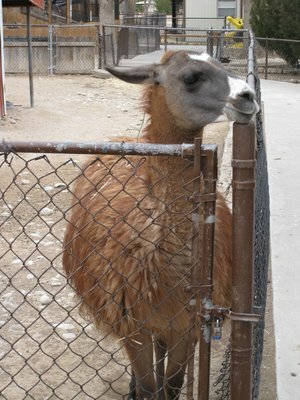 Roswell even has its own small zoo, which is a great place to take a daily walk with the animals. Spring River Park and Zoo is a free zoo run by volunteers and local donations, and has a wide variety of animals from prairie dogs to buffalo and even a black bear. For only a quarter, children, or the young at heart, can ride the miniature train ride or the antique wooden carousel. This is one of about a hundred wooden carousels left in the country and features hand-carved horses. All ages are sure to find something to enjoy while visiting Roswell… but watch out for those little green men peeking around the corner. Roswell is located South of I-40 on US 385 or East of I-25 on US Highway 380 in the southeastern corner of New Mexico. US 380 is also Main Street and there is a handy information center near the Roswell Museum and Art Center.